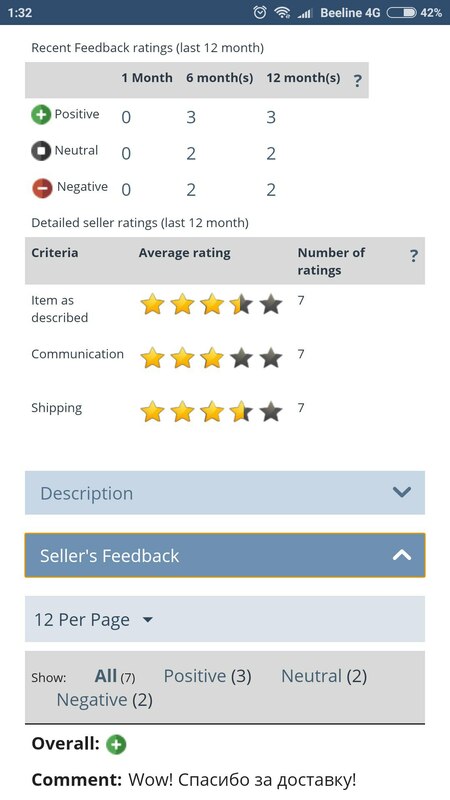 This CS-Cart module significantly extends the default vendor feedback functionality for your marketplace. It allows you to collect average statistics and detaily rate each vendor. 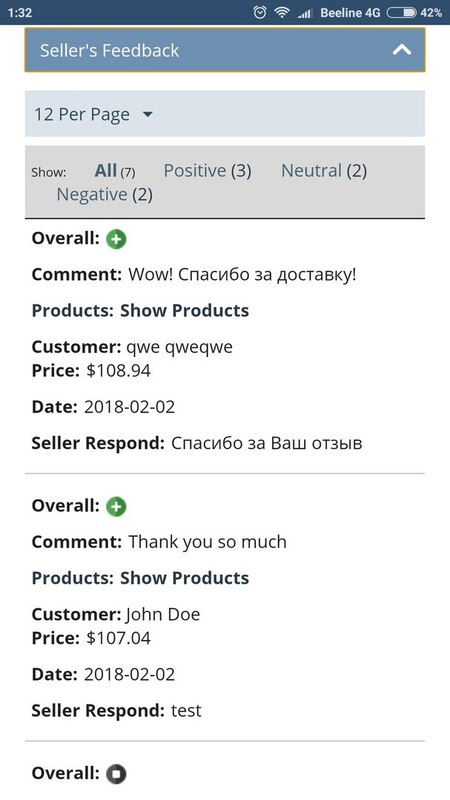 Customer can put feedback for any order just once. It will be better if the customer can leave a feedback just when he got the order. So we recommend to set order statuses that matches arrived order. 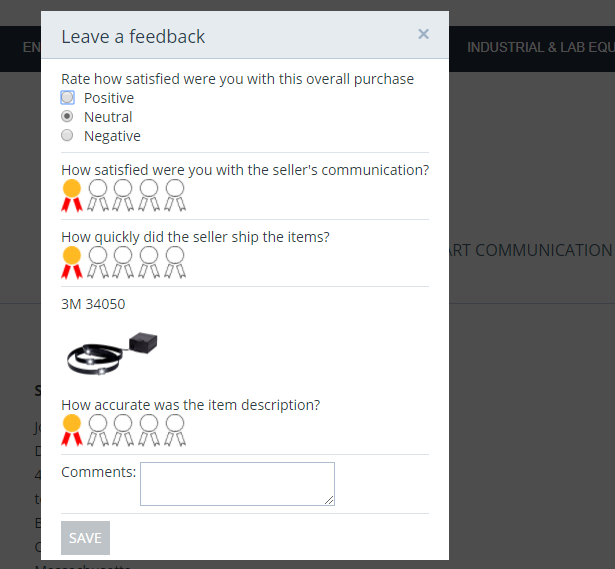 Also you can forbid customers to edit a feedback. So settings are complete and lets see a storefront. 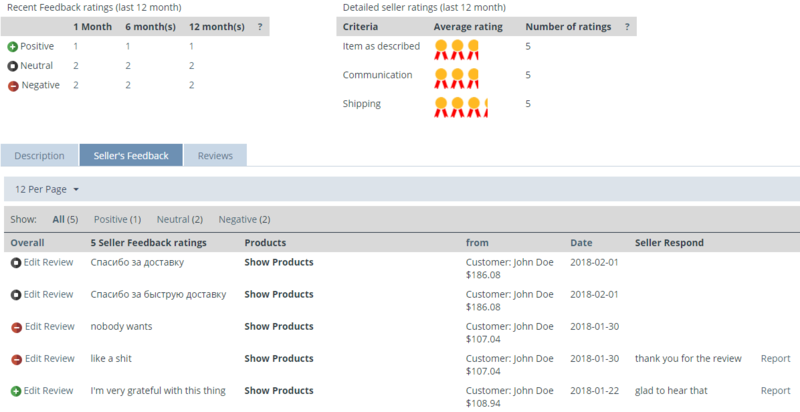 Here you can see amount of positive, neutral and negative reviews from last12 months, average rating for all criterias and feedbacks with product list and their rate. By the first the customer should place an order and receive it (order status changed to one of selected in addon settings, in our case - "Complete"). When order status is changed to "Complete", the customer will receivean e-mail notification with request for feedback. 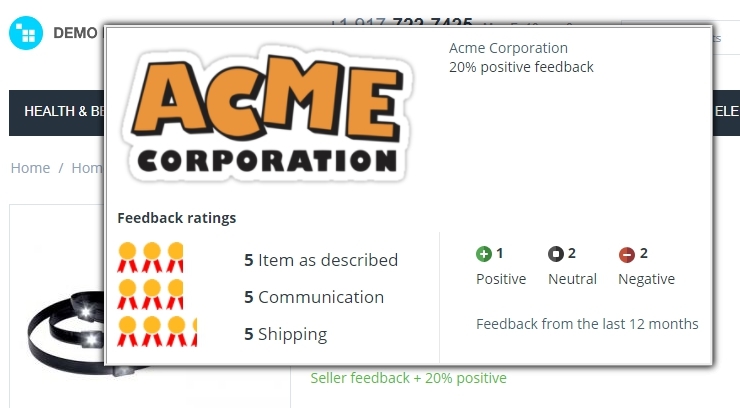 The same as at storefront, just with ability to put a respond or report for review. When vendor put a respond, customer get an e-mail notification about it. When vendor put e report, customer and administrator get e-mail notification. Here admin can see and delete reports from customers and vendors.